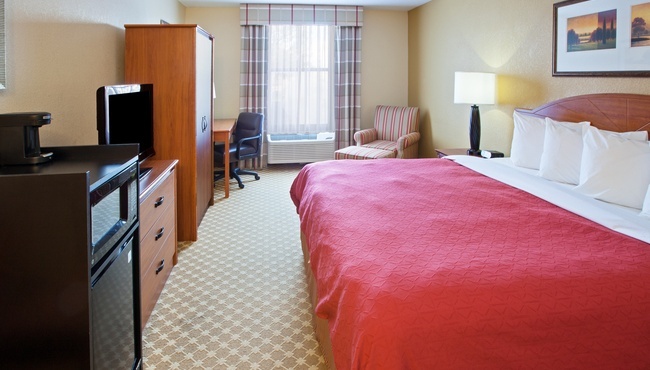 Spacious accommodations and useful amenities at the Country Inn & Suites provide guests with a comfortable stay in Saginaw, MI. Drift off to sleep on a soft pillowtop bed in your hotel room or suite. In the morning, enjoy the complimentary, hot breakfast or brew fresh coffee in the comfort of your room with the in-room coffeemaker. Other appliances, such as a microwave and refrigerator, let you save your leftovers from nearby restaurants and store drinks and snacks. 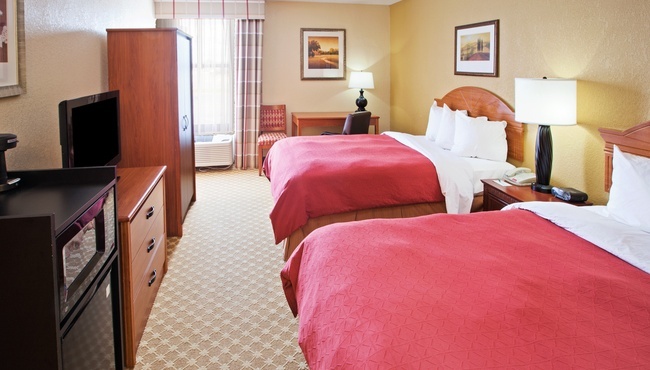 Our Standard Rooms offer a choice between one king or two double beds. Set up your laptop on the work desk and use free Wi-Fi to check email or plan out your itinerary for shopping along Tittabawassee Road. Families with children appreciate the extra privacy that comes with a One-bedroom Suite. The separate sitting area is furnished with a sleeper sofa, an additional TV and all standard amenities. 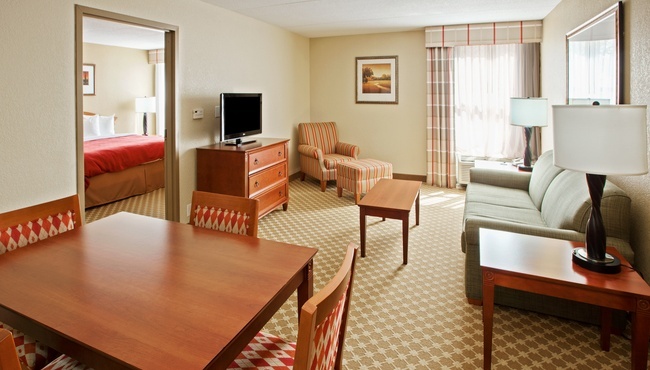 The Country Inn & Suites in Saginaw offers pet-friendly accommodations. There is a fee of $25 per night for each pet. If any unauthorized or unannounced pets are found in a guest room, an additional $100 fine will be added to the room's account.